3D printer improvements: Varnish your printer plywood before it is too late! Varnish your printer plywood before it is too late! 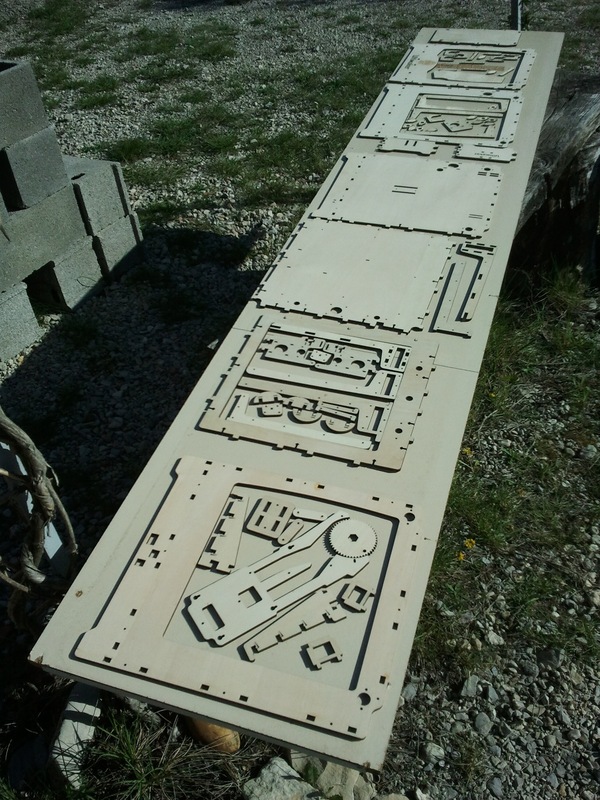 Paint or varnish your 3D printer plywood first ! Since I could not think of a good color to use, I applied transparent varnish on the raw lasercut plywood. I diluted a bit the first application to get it deeper into the wood. After waiting a bit I applied a thicker layer, and started assembly before it was fully dry (as I could not wait). In fact, it made the parts stick a bit on each other, which proved to be good for the overall robustness ! Considering other's Ultimakers, I think my varnish protects all the wood parts against dirt and oil, so I warmly recommend this. Even hot melted plastic probably can stick enough on unprotected plywood to damage the surface when you remove it later. And moreover, it must be much harder to do afterwards, so do not rush to assemble yours... make it happy first!